A bunch of you have been asking me what software program I use to track and graph my SEO rankings ever since I published my SEO Case Study: Month 5 Results post. In short, the software I am using is called Rank Tracker, and I highly recommend it. It costs $99.75 USD for a full professional license which may sound like a bit much to some people, but if you do any type of SEO work then you’re going to love this piece of software. I purchased Rank Tracker a couple months ago because I was tired of wasting my time manually searching for all my keywords on each search engine, and because I couldn’t find a half-decent free online tool or program that could track and graph my rankings over time. You can check out more product information, download a free trial version, or go ahead and purchase it right now. I’m not sure if the trial version has a cut-off period, but you will certainly lack many of the vital features that the full version has, such as being able to actually save your rankings and track them over time. Anyhow, I absolutely love Rank Tracker and highly recommend it to keep track of your SEO rankings. Market Samurai is less expensive and goes more in depth in terms of tracking and keyword searches. Check it out for sure. I did check out Market Samurai but opted for Rank Tracker. Paul from PaulyMath.com loved MS as well (he bought it) but just a few days ago he told me that he is going to switch to Rank Tracker now as he is “fed up” with MS… might want to ask him why. I think MS has a lot more keyword research features, but doesn’t keep a good historical record of past rankings like Rank Tracker does. What other tracking data do you want than SERP rank on any given day? Yes Market Samurai has a Rank Tracking tool, but it is fairly basic. It is alright for randomly checking your rankings occasionally, but it is missing too many features. It wouldn’t be good for any serious marketing campaign where you really want to analyze rankings. I’m actually eying Market Samurai as well. But now that you mentioned Rank Tracker, i might take a look at this tool first. Compare features. I am tied for second in my league and want to know where I have to make adjustments at. Do I have to buy stat tracker? Please help, thanx. Rank Tracker looks pretty good. Will take a closer look at the software! Jeff, you are completely correct. I just took a look, and the reason I thought you could on the Pro version is because it actually has the Publish button, but I never actually clicked it before. So yeah, sorry about that, if you want to send it out to clients you need to get the Enterprise version. That being said. It would only take 5-10 minutes to take screenshots of each page, stitch them together in Photoshop, and save as a PDF. Definitely not as simple and quick as having the Publish feature, but still doable (especially if you’re only doing it once a month). Wow great review. You always do a great job on your reviews. I have a semi-custom built system for updating and keeping track of my rankings. First, I have Market Samurai profiles setup in the Rank Tracker module. I can basically click Update and it will return the rankings for a certain website’s keyword placement. Second, because I was spending about an hour and a half updating my rankings with Market Samurai, I chose to automate it even further. I found a program called Win Automation. I created a simple, but long script that will basically go in, open up each of my rank profiles, and then it will update them while I sleep. In the morning, I wake up, jump on the computer, and check my already updated rank profiles. That’s it! That just goes to show how much more difficult it is to automate rank checking with Market Samurai. With Rank Tracker it seems that you can schedule rank checking within the software itself. thanks Tyler , i am using rank tracker free for checking my websites ranking but it not shows me always right but it gives me a little bit of idea about the ranking so i am doing manually. if i am paid for it and after it not show me correct ranking then why i am paying for it. Rankings will always vary based on how you’re searching based on a number of factors such as toolbars, if you’re logged into Google, your personal social network of friends, what you’ve searched for before, etc. Partly why I wanted to use a software program was to create a consistent and stable set of rank data to use a “control”. I have owned both Rank Tracker and Market Samurai for a while now. At first I like Rank Tracker, but then I switched over to Market Samurai as I found it more visually pleasing. But after using MS for about 4-6 months now I’m tired of all the bugs in it and I don’t really like how it sets up it’s projects. For example, if you want to check Google Canada vs Google US rankings you have to setup two different projects – one Canadian and one US, whereas Rank Tracker can track both in one project. There are still parts of MS that I do like, like their keyword analysis parts, but purely for just tracking rankings each day I think Rank Tracker works better as it’s more stable, reliable and reports the data in a more “clean” format. At the end of the day though, anyone serious about SEO should own both as they each have slightly different functions. One thing with MS is that you pay once and that’s it. With Rank Tracker there is a monthly/quarterly or yearly fee for updates. Any chance you could link to videos on another page instead of having them in the blog post showing on the index? Ive just had to take you off my tabs I open automatically when I start firefox because the videos on the page are killing me. I’m using prepaid mobile broadband which isn’t cheap in Ireland and don’t notice how much bandwidth is going on your videos loading up each time. Try now. You should see a mobile version of my site on your smartphone now. We absolutely love Rank Tracker, It is the only tool that didn’t get screwed up in the Google changes. The money is worth it. They do have a free version now but it isn’t as great. I’m using rank tracker from last 3 yrs and satisfy with the results. It help me a lot to check the keyword position of my all keywords in all major search engines..
Do you all think ( who used them ) I should just skip the free version and buy the full version? I really need to decide on something? You can upgrade from the free version at any time, so if you’re on the fence you should try out the free version first. Thank you Tyler, just didn’t wanted to waste my time with Free Trial, if the full version is much better. But I’m gonna give it a try. 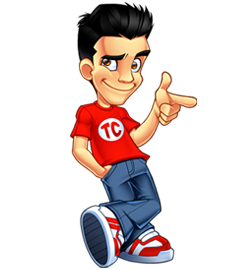 Hello tyler, you have a nice blog, and thanks for the screencast of RankChecker. Please write more frequently. There is no denying that Market Samurai is cheaper, but I concur, Tyler. There are some features of Rank Tracker that make it worth the extra money. Remember, you get what you pay for! Great post. One more thing: take advantage of the free trial before you make any play on buying this. I have found that this is a great way to test things out, and decide if you should actually be spending the money. I have tons of products that I have purchased and never touched! One thing I figured out that will speed up your rank testing by 33%. Really there is no point since Yahoo now shows Bing results so it’s the exact same thing. Good point Pauly. I stopped caring about Yahoo rankings when they announced that they were going to integrate bing results. There is not much point in checking your rankings on yahoo anymore. Thanks for the review. I’ve been looking into getting this type of tracking software for awhile now. You have made my decision easier that is for sure. Good review, Tyler. Nothing like giving something a long workout and having it stand up to your expectations. So far I’m really liking my free trial! @Lingerie what do you like best about your free trial? This is a very cool tool! I have tried the SEOtravis and MarketingSamurai, they are awesome too in finding competitive keywords but not as detailed as this RANK tracker tool. I like the graph that this tool has. I’m forwarding this to my boss. thanks for the video Tyler! As i am SEO Executive, this information is very useful for me. Thanks for the great information. Nice Video review! You’re site’s pretty sweet! I think this thing just looks to be overpriced. I liked the review though, and if you need the functionality I could definitely see myself buying it. I’ve heard a lot about rank tracker. Anything that helps automate is well worth it if you ask me. I have heard many good things about rank tracker from people involved in SEO. Any tool that saves time each day has got to be worthwhile investment in my opinion. After all time is money. I started using Advanced Web Ranking recently. It sure saves time having a automated ranking software compared to checking the rankings manually. It’s also good to see a graph over a period of time to help with my motivation. I just got Rankchecker thanks to your review! It’s an awesome tool! This is fantastic just what i was looking for unfortunately $99. I dont realy like paying for stuff that is not so popular. Anyhowz it looks like a real piece of software. Very nice software, but I doubt how many people would afford it. Price can really be problem for beginner bloggers, But if you think long term then this investment can be very useful to get back benefits. Yes it can be quite tough for beginner bloggers or internet marketers to afford software. They need to consider how much time this kind of software saves though. Even in the beginning, time is money. Another good one is Market Samarai. They’ve got an efficient rank tracker included with their keyword research software. I have heard nothing but good stuff about Rank Tracker. I have yet to start using it but I am going to have to change soon. Every morning I check my emails to find tens to hundreds of emails from all of my websites showing me what keywords people are using to find my websites. Good review. I’ve found Rank Tracker to be really good. It’s easy to use and does its job the most efficiently among other similar software. Its Really Good and Also Saving My Time. This looks like a great tool for tracking your rankings. Ill be sure to check it out. I will be getting my hands on this little marvel. I am thinking to purchase the full version of Rank Tracker but haven’t got any good review regarding that. But your article helped me a lot in deciding that Rank Tracker is really a good tool.